Once you have contacted us, you will be invited for an assessment or initial consultation by one of our team. At this meeting you will have a chance to speak in more detail about what you need support with. It may be helpful to attend with your partner and baby. Your psychologist or therapist may also explore with you issues in your reproductive history or earlier life history to get a clear picture of what support you need. You may also be given psychological measures to fill out to help understand how your current difficulties are impacting you symptomatically too. By the end of the assessment – which may take a number of sessions – you will be able to decide what support you need. Depending on the issues you need help with, you may decide with your therapist to have individual sessions for yourself, or couples therapy with your partner, or indeed parent-infant psychotherapy to address attachment difficulties with your baby. We can also provide Watch, Wait and Wonder, Play Therapy and Reflective Parenting sessions for you and your older children under 5. Fees for therapy with the Parenthood In Mind practitioners will vary according to the therapist, location length and type of therapy. All of our therapists are registered with the main insurance companies, and can provide more detailed information on fees when you contact them. The journey to becoming parents is not always easy, and some individuals and couples may face unforeseen challenges. 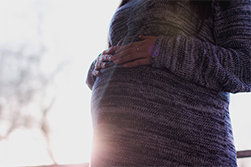 Whilst the announcement of a pregnancy or birth may be a joyous event, it also involves huge shifts in identity in the parent-to-be and in the couple relationship. Once the baby arrives, new parents may find themselves struggling with the exhausting reality of sleepless nights, the demands of breastfeeding, and getting to know the baby. 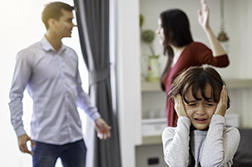 Even beyond the first year of parenting, parents may be faced with concerns about their child’s development, or have to manage difficult life events that may impact the couple relationship and family life in general.